The home-sharing company announced in November that it would remove approximately 200 listings in Israeli settlements, which are in a territory disputed by Palestinians. Airbnb said it will now allow those properties to be listed, but will donate any of its profits from the West Bank to humanitarian aid organizations. 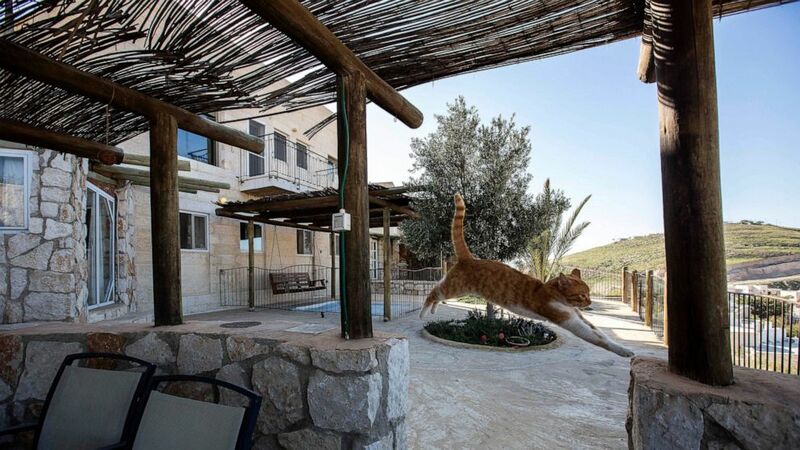 Some groups like Human Rights Watch had hailed Airbnb’s plan to remove the listings in Israeli settlements, which are considered illegal by the United Nations. But Israeli leaders condemned the move. The San Francisco-based company was sued in U.S. federal court by 12 dual U.S.-Israeli citizens who own homes in the settlements. Airbnb’s reversal settles that case, says Tel Aviv-based Shurat HaDin Israel Law Center, an Israeli advocacy group that backed the suit. The plan didn’t affect approximately 20,000 other listings throughout Israel, including listings in other disputed areas like east Jerusalem and the Golan Heights. Airbnb announced its reversal late Tuesday night Israeli time, in the midst of the country’s national elections. Political and legal pressure kept mounting. Amnesty International was among those pressuring the company to go even further and ban listings in east Jerusalem. At the same time, Texas, Florida and Illinois said they would prohibit any state business with Airbnb because of its stance against Israel. Airbnb’s rivals, Booking.com, Expedia and TripAdvisor, continued to offer properties in the settlements. In a statement, TripAdvisor said it makes clear when properties are within Israeli settlements, and it uses the term “Palestinian Territories” to refer to the West Bank and other areas. Mueller Rejects Flynn’s Attempt to Portray Himself as Victim of the F.B.I. December 15, 2018 Comments Off on Mueller Rejects Flynn’s Attempt to Portray Himself as Victim of the F.B.I.